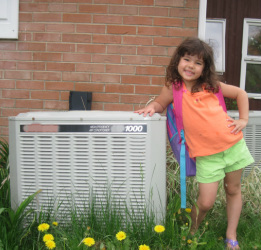 When it comes to heating and cooling your home, we know that comfort is a priority. If your heating system or air conditioner breaks down or isn’t functioning properly -- getting it fixed pretty much hits the top of your “to do” list. 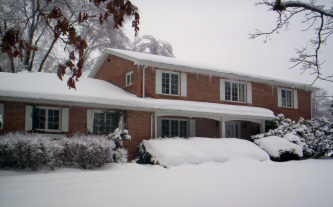 Luton’s is here to help you keep your home warm in the winter and cool in the summer. 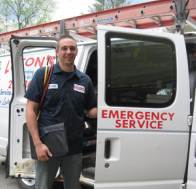 Our experienced technicians can install, service or repair your heating and cooling systems and get them running in the most efficient way possible for your home. Most people try to get the most out of their money, that’s understandable. And because of this, folks will often run an old furnace until it dies. But, when it comes to heating, running a worn-out system is often a waste of money due to inefficiency. Did you know that some older units run at 30-50 percent efficiency? In cases like this it just makes sense to upgrade and update your heating system to one that can be 90-95 percent efficient. Today’s new technology has created better and safer units to help you get the most out of your dollar. Sometimes a malfunction in an old furnace can mean disaster for a home. Today’s new units come equipped with important safety functions that can help protect your home and family. Special sensors on new furnaces can detect a malfunction and shut the system down before a problem has a chance to get out of hand. 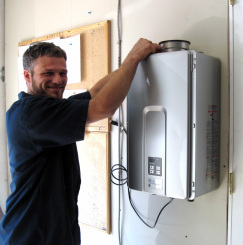 Some furnaces also feature a Smart Board which contacts our heater repair service directly if there is a problem. This can especially benefit folks who leave their homes for extended periods of time. “Luton’s has done everything from new installations to rebuilding my boiler and replacing the hotwater tank in my home. I love that I can call them up any time of the day or night and somebody shows up who is very professional. There were several instances when I wasn’t there when they came, and they did their job and left. “Last year, Luton’s installed a new energy efficient furnace and hot water heater system in our home and now we never lack for hot water. Our gas bill was so low that the gas company called us thinking that we were trying to pull something because our gas bill had gone down so much from previous years. 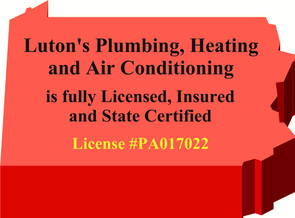 Luton’s offers you all the benefits of geothermal heating and cooling. With a geothermal system, you use the earth’s energy to heat and cool your home instead of a fossil fuel. It is the most efficient way to regulate the temperature of your home. Call us for more information on geothermal heating and cooling. Bare feet in the winter? 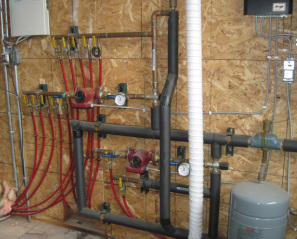 If you’ve got a boiler system, in floor radiant heat is an option that can warm up your whole property. Driveways, sidewalks, garage floor slabs and even freezing cold tile floors can be warm in the winter with this type of heating system. Radiant heat is a consistent and comfortable way to warm your winter, and it’s a perfect fit for new construction too! In Western Pa. our summers may not be extremely hot, but our temperatures do tend to soar from time to time. And who can tell how long the heat will last? On a hot, muggy night, there’s nothing like turning on the air conditioner to cool your home and control the humidity. Let us help you keep your home comfortable all year through with an energy efficient air conditioning system. We offer an extensive line of trusted manufacturers; feel free to ask to see our list. And many furnaces are AC- ready. We can check your furnace for you to help you keep things cost efficient. What About My Manufacturer Warrantee? Making sure you get the best service possible. Because we know that your heating or cooling system is an important investment for your home, we like to make sure that you get the most out of all your manufacturers’ warranties. When we install a new heating or air conditioning system for you, we handle all of the warranty work. We’ll register you for your warranty and do all the legwork if there is a problem. Here at Luton’s we want to make sure that our customers don’t have to pay for something that should be covered under warranty. And, we go out of our way to choose systems made by manufacturers who stand behind their products. One way to make sure that your heating and cooling systems stay fully functioning the whole year through, is to sign up for our Service Maintenance Agreement. With regular heating and air service checks in the spring and the fall we can avoid potential problems. With your air conditioning system, our spring service check can help make sure your Freon charge is exactly what it should be. We’ll run through a check list and make sure your readings are right. 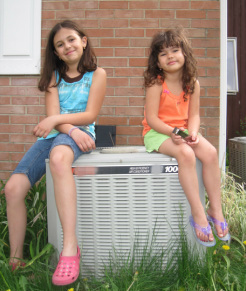 This not only trouble shoots for any problems, but it also helps keep your system running at maximum energy efficiency. 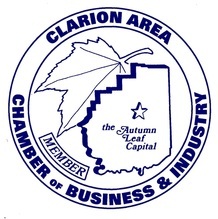 24 Hour Emergency Service is Available in Western Pa. Furnace quit in the middle of winter? Air conditioner just not keeping your house cool? Need to talk with someone now – even if it’s a weekend or holiday?